The Línea Vieja–Huétar culture developed within the region known as Gran Nicoya, which extends over northwest Costa Rica and western Nicaragua and covers parts of the Central Valley and the central Pacific coast. It is a region of savannas and tropical rainforests, with towering volcanoes as a backdrop. The Línea Vieja–Huétar people had an agricultural economy based on crops such as corn, beans, squash, cotton, chilies and cocoa. They supplemented their diet with gathering, hunting and fishing activities. Their settlements had markets where all kinds of products were traded and cocoa beans were often used as currency. 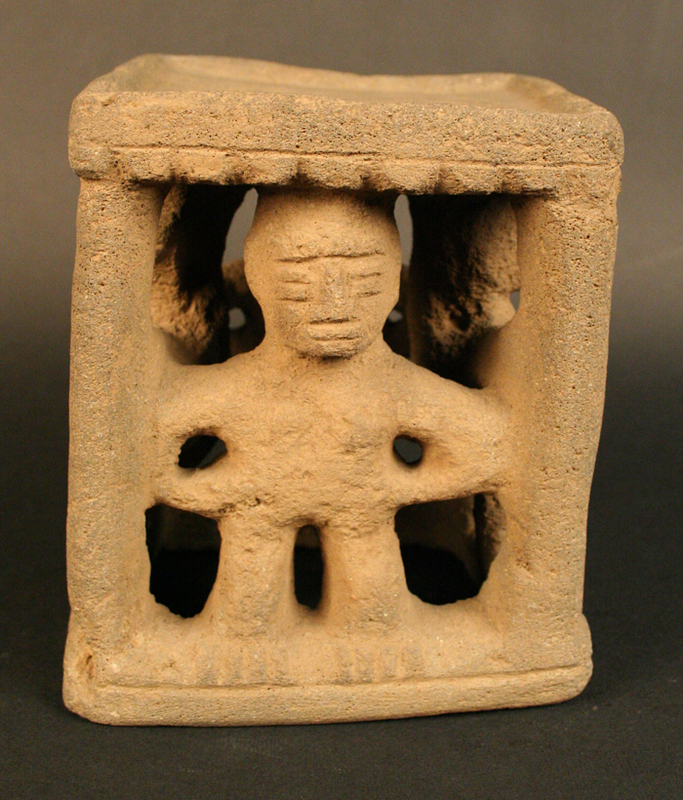 The Línea Vieja–Huétar culture did not produce many ceramic items, but the little they made displayed clear influences from Mesoamerican cultures, most notably images of gods such as Tlaloc. They were also highly skilled basket-weavers and their stonework included three-legged grinding stones finely worked into animal and human shapes. 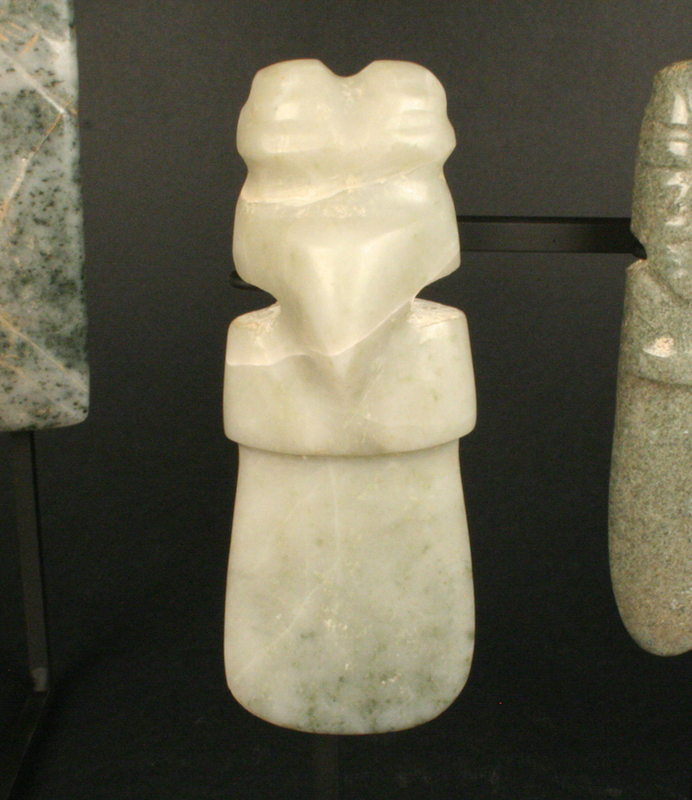 Jade jewelry was another of their specialties. Blue, red and black drawings that are similar to Mexican codices have been attributed to this group and point to the possible existence of a writing system. These drawings were painted onto strips of deerskin and folded in accordion fashion. 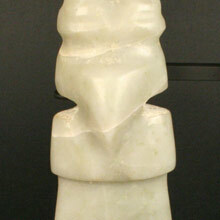 The Línea Vieja–Huétar culture had a hierarchical society, at the apex of which was a small group of elders, followed by priests and warriors, and finally peasants and slaves. This social order was flexible, however, allowing some individuals to move up the scale by distinguishing themselves in activities such as war. The Línea Vieja–Huétar people worshipped a Mesoamerican pantheon of deities as well as individual gods, such as Tlaloc (the god of rain), Quetzacoatl (the feathered serpent), Ehecatl (the god of wind) and Huehueteotl (the elder god of fire). They practiced human sacrifice and self-mutilation (cutting) as ritual offerings to these gods. Little remains of the settlements of the Línea Vieja–Huétar people, except some remains of rectangular dwellings that likely had grass and mud roofs. In some cases these residences were grouped into villages around a central plaza. 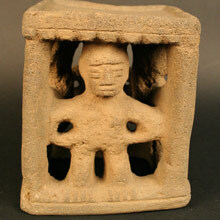 The cultural characteristics of the Línea Vieja–Huetar people suggest a Mesoamerican ancestry. In the 16th and 17th centuries these groups were practically exterminated by the conquistadors, who occupied their lands and enslaved them in the encomienda forced labor system. However, a small group of Huétar descendants lives in the region even today, preserving some of the traditions of their pre-Hispanic ancestors. Preclásico Tardío 1100- 1500 d.C.